← Making the Gas Tank FIT! A few days ago I cut and re-welded an AV cart (Thanks, Tom!) so it can hold the 150 Lb rotary table at about the same height as the bed of the mill. 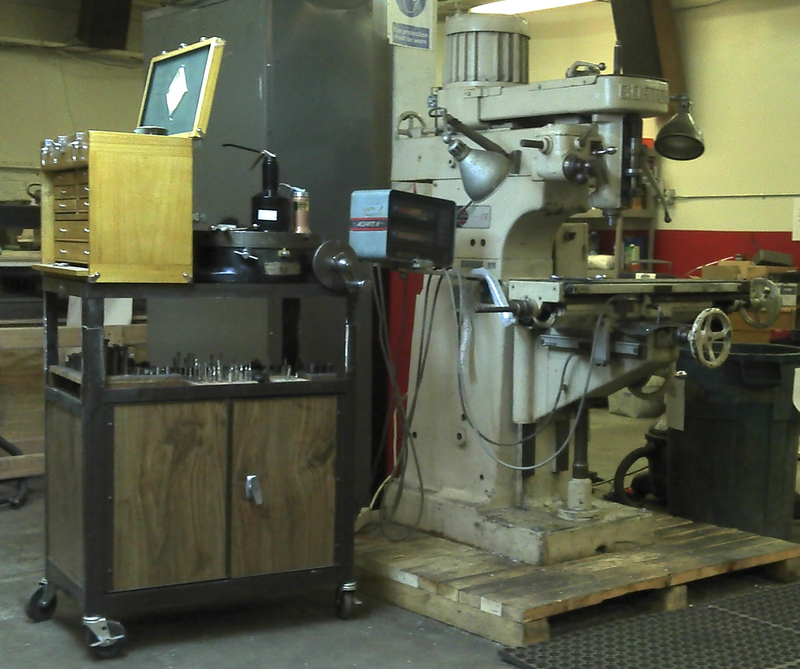 The cart has an open shelf to hold the more commonly used tools and storage below for more mill related tools. This entry was posted in mill, organization. Bookmark the permalink.